The Distrito Federal is the richest state in Brazil by GDP per capita. Brazil has 27 federal units, 26 states, and one federal district. The economy of Brazil is one of the most vibrant in the Latin American region as well as in the whole world. Some of the states, especially those in the south-eastern region, have top economies driven by the growth in the service and industrial sectors of the economy. Besides having some wealthy states, other Brazilian states struggle economically, hardly raising 1% of the national GDP. Such states include Piaui and Maranhao. Distrito Federal is the seat of the federal government and the richest state in Brazil with a GDP per capita income of R$64,653. The primary sector is the service industry followed by the industrial sector with the agricultural sector coming third. While Distrito Federal is not a state, it has features that resemble those of a state, hence its inclusion on this list. Sao Paulo is the second richest Brazilian state with a GDP per capita income of R$33,624. It is also one of the richest states in Latin America with the GDP per capita surpassing that of countries like Argentina, Paraguay, Uruguay, and Bolivia. Sao Paulo has a large industrial complex- the largest in Brazil, which contributes about 46% of the state’s GDP. The service sector is the leading in the state with a GDP contribution of 47%. Agriculture contributes about 6.5% of the GDP. With a GDP per capita income of R$31,064, Rio de Janeiro is Brazil’s third richest state. The state has a large industrial sector, which raises more than half of the GDP. The service sector is the second largest economic contributor at 47.8% followed by the agricultural sector at 0.6%. Its primary exports include petroleum, fuel, siderurgy, chemicals, and vehicles. Minas Gerais, Rio Grande do Sul, Parana, Bahia, and Santa Catarina is among the richest states in Brazil making up more than four-fifths of the national GDP per capita. Located in the northeast region of Brazil, Piaui is the poorest state with a GDP per capita income of R$8,137. Like most Brazilian states, Piaui has a large service sector with a GDP contribution of about 60%. The industrial and agricultural sectors come in second and third with a GDP contribution of 27.3% and 12.6% respectively. Piaui mainly exports agricultural products including soybeans and cashews. 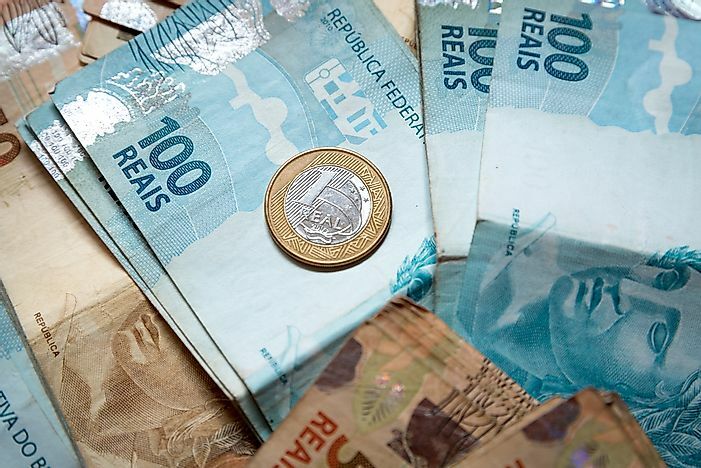 Maranhao has a GDP per capita income of R$8,760, making the state the second poorest in Brazil, which contributes less than 1% to the national economy. The state has a large service sector representing 54.5% of the state’s GDP followed by the industrial sector at 25.45 and the agricultural sector at 20.1%. Most of the residents in the state depend on palm tree products to generate income. Top exports from Maranhao include aluminum, iron, and soybeans. Alagoas is Brazil’s third poorest state having a GDP per capita income of R$9,333, which is less than 1% of the national income. Although the service industry is the largest contributor to the GDP, the state of Alagoas is highly dependent on agricultural production, mainly sugarcane, which is also highly unreliable. The tourism industry has been developing steadily over the last few years due to attractions mainly beaches.